With Google’s Tango platform essentially dead, it comes as no surprise that the first ARCore-developed apps are slowly trickling onto the company’s Android operating system. The new app is developed by Signal Garden, the same studio that also developed Signal Mapper for Google’s augmented reality Tango platform. 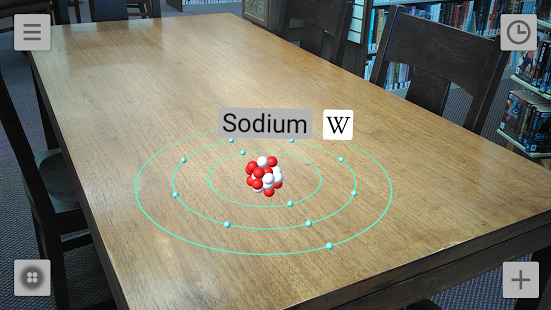 Atom Visualizer, as you may have already guessed, visualizes atoms in augmented reality. Floating atom models appear on a periodic table and can be viewed from various angles. In order to install the app, users first need to install Google’s ARCore services framework, which is available on Google’s Developer Site. ARCore is Google’s answer to Apple’s ARKit and is an augmented reality platform that’s designed to work across a wide range of Android devices. The first preview of ARCore is currently available, though it is not compatible with all Android devices and only works on the Pixel, Pixel XL and Galaxy S8/S8+.